To be a Christian in a post-Christian culture is to face many challenges. How should you confront today’s moral and social issues? How can you impact others for Christ? What does it look like to live faithfully in this fallen world? In Making a Difference, a new edition of a practical book, Dr. R.C. 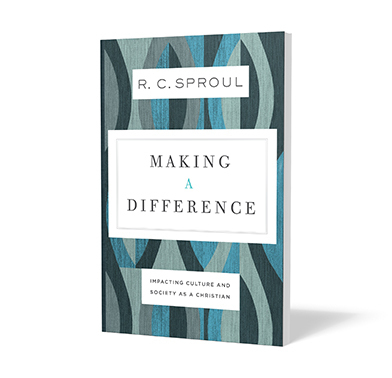 Sproul reflects on these questions and more, equipping you to be a Christian witness at work, school, home, or wherever you are. Learn to resist the errors of secularism and relativism and to bring a biblical perspective to all of life when you order your copy today. Available now from the Ligonier store. Dr. R.C. Sproul was founder of Ligonier Ministries, copastor of Saint Andrew’s Chapel in Sanford, Fla., and first president of Reformation Bible College. He was author of more than one hundred books, including The Holiness of God.